DIY back to school Mason Jar “Gift-ables”. 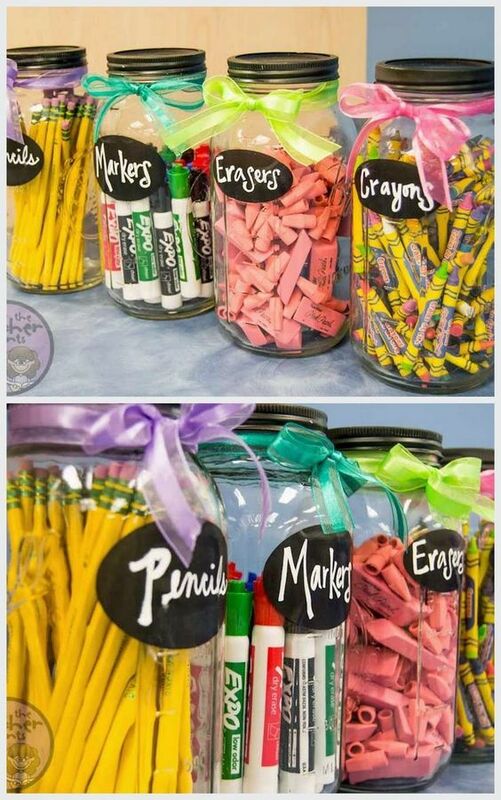 Organize classroom supplies in a beautiful, easy-to-see way. Click the picture for details.